Scuba Diving is one of the closest experiences we have on earth that we can liken to floating in space. 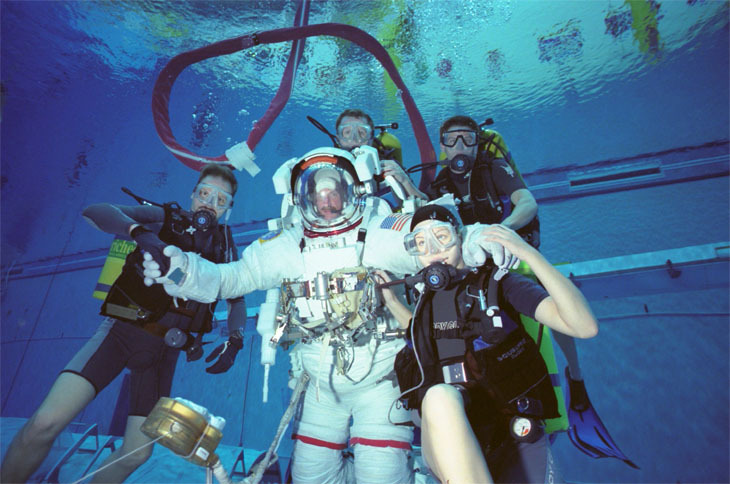 NASA has recognised the value of training their astronauts to operate in a neutrally buoyant underwater environment, in order to prepare them for zero-gravity in space. 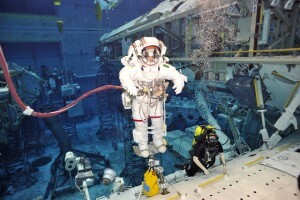 Dive operation specialists such as Chris Peterman have the unique job of working in the Neutral Buoyancy laboratory (NBL) near NASA’s Johnson Space Centre in Houston, Texas, USA. I’m sure many Scuba divers can relate, to letting their imaginations turn their scuba equipment and dive suit into an astronaut suit, and letting themselves float and spin and glide weightlessly through space. A night dive in Honduras certainly had this effect on me, floating through the darkness, with the added effect of phosphorescence as I waved my hands around, I soon became a space-woman with stars flying around me. 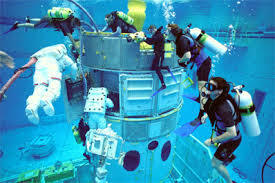 It makes sense, then, that if you wanted to replicate the space environment for an astronaut, you would have them practice underwater. 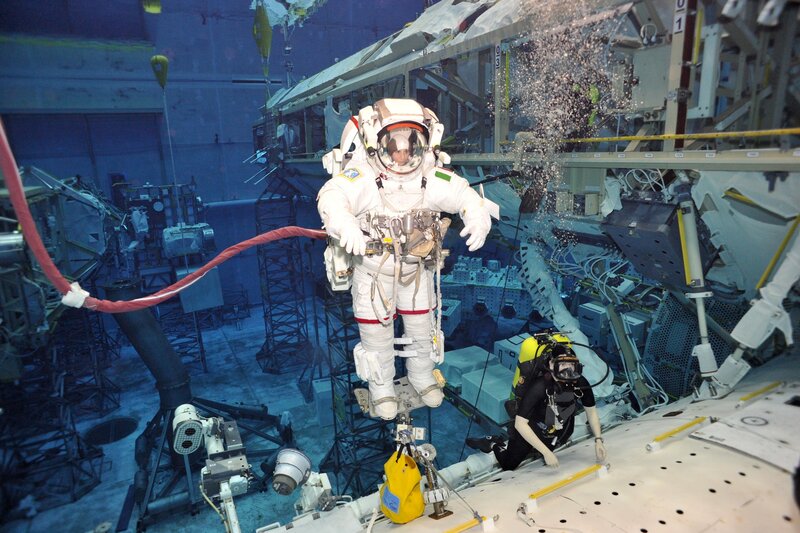 The work of dive specialist at NASA, involve many areas including instructing astronauts, maintaining the scuba equipment, working with robotics, mixing breathing gas, and operating communications within the underwater training facility. 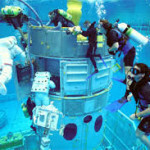 The facility, pictured below, replicates the space environment, with the spaceship and equipment, surrounded by clear still water. Diving in perfect visibility with no currents, adds to the illusion of being in outer space. Those of you who have experienced Scuba diving in crystal clear caves will appreciate how when you can’t see or feel the water you start to think it is not there. So how would someone get into working in such a fascinating job? Getting scuba certified and gaining as much dive experience as possible, such as recreational diving, and working as a dive instructor. Find out more about the full year Diploma in Scuba Diving course offered by Dive HQ Christchurch and where this qualification can take you.